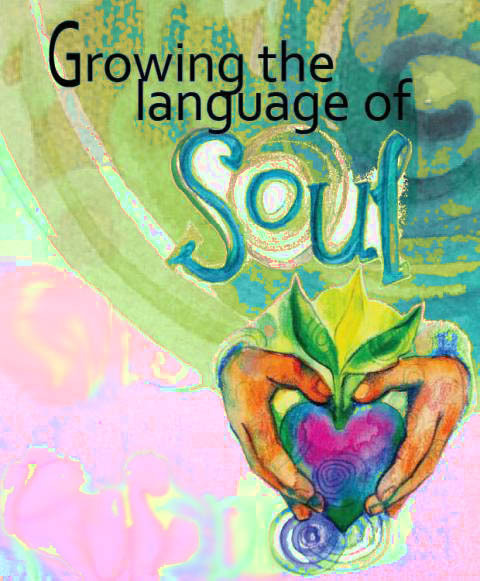 Growing the Language of Soul workshops are held every 4-6 weeks at Bunya House in Arana Hills, Brisbane. The workshops are designed to hold a safe and nourishing space for participants to explore and map their inner landscapes. We do this in a small group setting, using creative processes. Techniques include intuitive processes, guided visualisations, and a mix of options to paint, draw, collage, write and make things. You don’t have to be an artist or feel that you are ‘creative’ to fully participate and enjoy. In fact, I especially welcome people who believe they are ‘not creative’ or who feel blocked in their creativity. That’s my job – to help you connect and discover! Numbers are capped at nine so that people have space to share what comes up for them and to interact. Talking about your process can help bring it to greater clarity, but you don’t have to talk about it. The invitation will be there and your response will be honoured. I hold a choiceful and safe space where I encourage you to name your own experience and have that respected, rather than tell you what I think it all means. I love the intimacy of your workshops allowing access to my “I AM” in a safe, nurturing space.